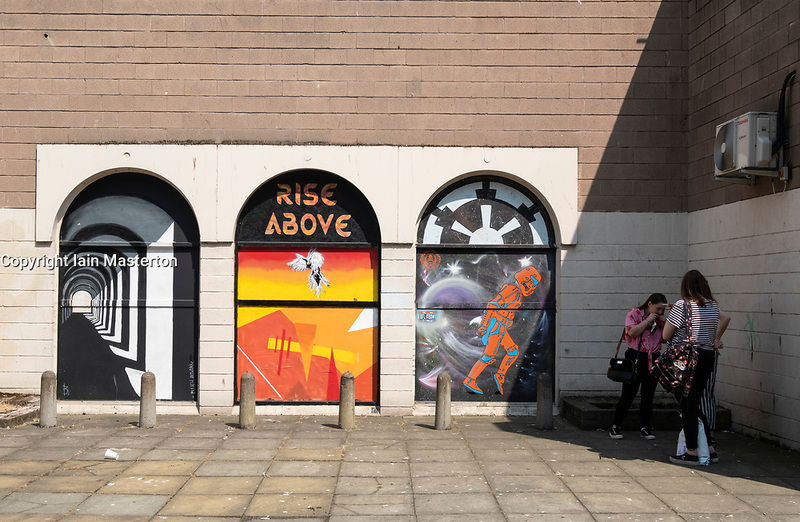 Street art project Openclose Dundee using art on doors in out of the way alleyways and lanes by local artists in the city. Dundee,Scotland, UK. L to R; Bleach Artwork, FYZN,BFL.